With all information technology professionals searching for ways to help their organizations cut costs and improve efficiency, most professional institutions have started moving sections of their business computing to the cloud. By virtualizing your company’s computing infrastructure, Blue Jean Networks technicians are routinely able to substantially cut your enterprise’s energy and maintenance costs. Our proficiency with our assessment, and virtualization, presents companies like yours with sustainable IT roadmaps that were never considered viable before. In most stand alone PCs, the computing resources are largely wasted. Combine all the machines your organization uses and that is a lot of computing waste. What if we told you that with Blue Jean Networks’ Hardware Virtualization services you can host numerous computing environments allowing you to cut down on your energy and maintenance costs. 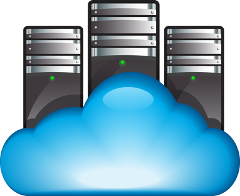 At the core of this trend in efficient utility computing in the cloud is the virtual machine. By simulating a physical computer, and all of it’s computing capabilities, you can host numerous computing resources on a single server, consolidating your computer infrastructure considerably. Blue Jean Networks provides your organization with scalable virtualization options for your computing hardware. With many flexible options available, Blue Jean Networks has a solution for any and all of your hardware virtualization needs. We can develop and implement a computing infrastructure that is both streamlined and comes equipped with superior functionality. To learn more about how to consolidate your computing infrastructure using Blue Jean Networks’ hardware virtualization services, call us today at 817-231-0222.